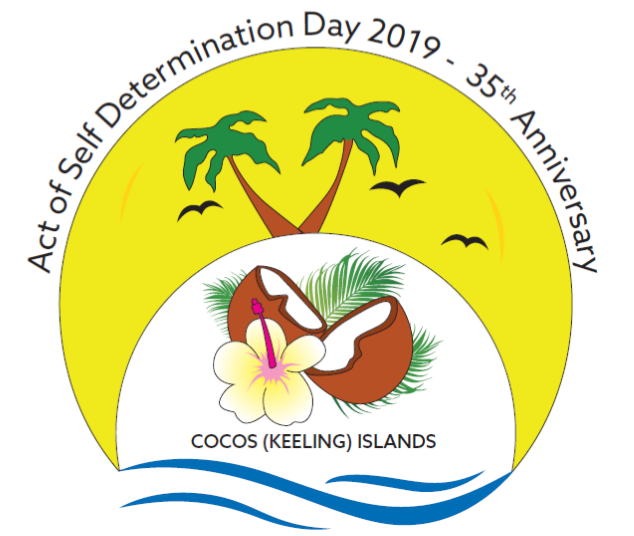 Visit the Cocos (Keeling) Islands and celebrate the Act of Self-Determination with us. Join in on the many family-friendly activities and learn more about the history and culture of the Cocos Keeling Islands. This year's Self-Determination Day Celebrations (ASDD) marks the 35 year anniversary of the day the islands' residents voted to become a democratically run, self-governing territory of Australia. To celebrate this historical date, the island life and its community, a full week of exciting events awaits. Enjoy watching traditional dances, a unique blend of Cocos Malay tradition and Scottish line dance steps, or watch the traditionally crafted jukong sailing boats racing across the Cocos lagoon, battling for the pole position. Sample delicious locally made Cocos Malay food at one of the many food stalls or join in on a island wide pillow fight. The numerous family-friendly land and water-based activities offer a great experience for the whole family. Put on your best dress and iron your suit and enjoy a night filled with food, fun and dancing at the HISRA ball. Try your hand in basket weaving and coconut husking. Or just sit back and awe at the beautiful henna art. Make sure to not miss out on the spectacular fire show held at the Home Island foreshore. For a detailed overview of all ASDD activities, please contact the Cocos (Keeling) Islands Visitor Centre. Throw a line and catch your own dinner, snorkel with colorful fish or try your hand in kitesurfing - there are many ways to enjoy the Cocos lagoon. Learn more about the colourful history of the Cocos Keeling Islands, the rule of the Clunies-Ross family and the Cocos Malay culture.